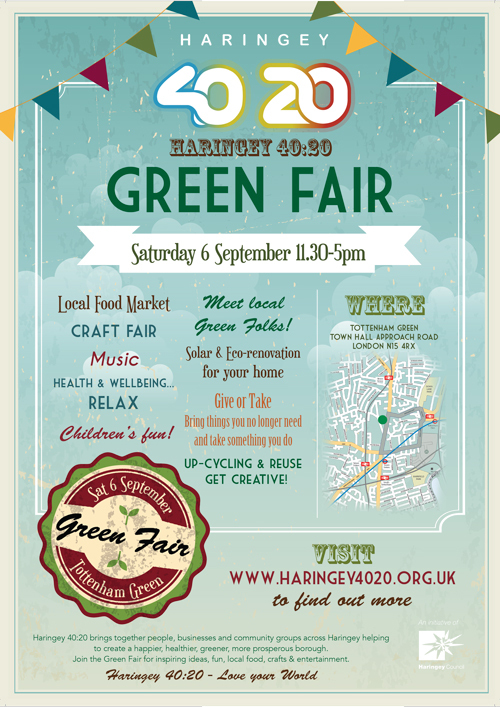 Living Under One Sun are having a fruit and vegetable stall at the Haringey Green Fair on the 6th September. Come along and find out about all our courses, volunteering opportunities and our beautiful allotment. We are also having a stall run by beekeeper Ian, all about our Urban Honey which is made on the allotment. Also, Joanne Barrett will be talking about The Haringey Big Community Switch and how to save money on energy costs as well as how to use less energy. This entry was posted in Borough-wide, Events. Bookmark the permalink.